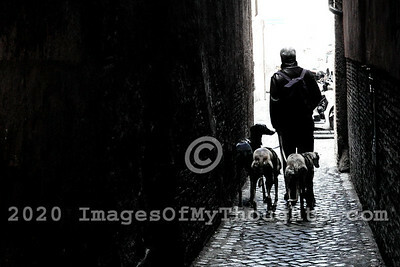 A man walks three sighthound dogs through a narrow alley. 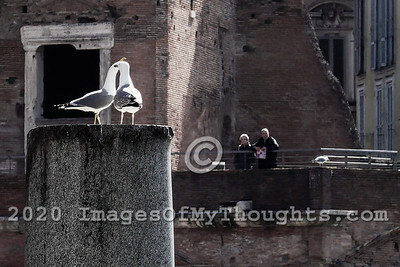 A pair of seagulls rest atop a stone column, part of the Imperial Fora, the remains of a series of monumental public squares constructed between 46 BC and 113 AD which were the center of the Roman Republic and the Roman Empire. A heterosexual couple embrace and kiss near the Imperial Fora, the remains of a series of monumental public squares constructed between 46 BC and 113 AD which were the center of the Roman Republic and the Roman Empire. 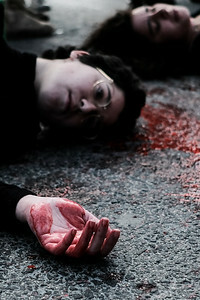 A man and a woman passionately converse in the street. 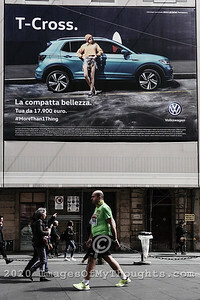 A man walks below a Volkswagen advertisement banner. 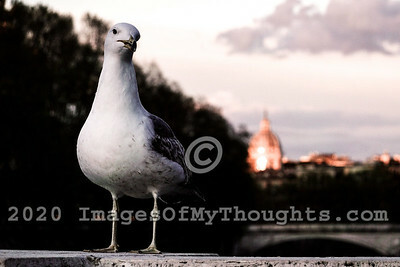 A seagull soaks in the rays of sun on Ponte Sant'Angelo Bridge. Jerusalem, Israel. 2nd April, 2019. 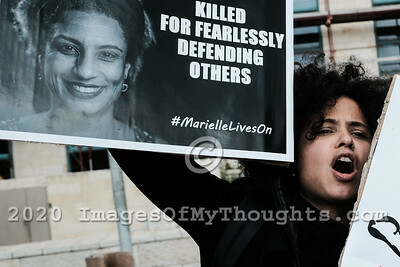 Gush Shalom peace activists protest the visit of Brazilian President Bolsonaro at Yad Vashem World Holocaust Remembrance Center claiming Bolsonaro is a Nazi regime admirer who supports racism, fascism, torture, violence against women, political persecution, incarceration of LGBT community members and Afro Brazilian natives. Protesters object Yad Vashem serving as a 'laundromat for world dictators'. Israeli PM Netanyahu has warmly welcomed Bolsonaro on his official visit in Israel ahead of his April 9th 2019 challenge in the national elections, seeking to play up his diplomatic achievements. A young boy admires a painting of female nudes exhibited as part of 'Victory over the Sun, Russian Avant-Garde and Beyond' at the Israel Museum. Jerusalem, Israel. 28th March, 2019. 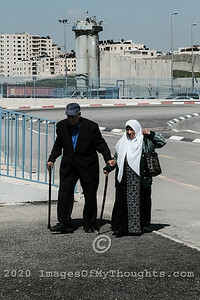 An elderly couple enter the Qalandiya Crossing for processing and entry to Jerusalem. $11 million renovations have recently been completed at the Qalandiya Crossing, the main crossing between northern Judea and Samaria and Jerusalem. Renovations were carried out in order to enhance processing of some 7,000 Palestinians every day, entering Jerusalem for work, medical care or other necessities. Upgrades include implementation of technology available at modern airports while giving consideration to security requirements. Processing of an incoming Palestinian now takes between 4-7 minutes. The Mod's Coordinator of Government Activities in the Territories (COGAT) is responsible for implementing the government's civilian policy within Judea and Samaria and for coordination and liaison with the Palestinian Authority. Jerusalem, Israel. 28th March, 2019. 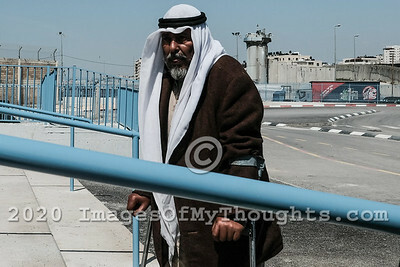 A man enters the Qalandiya Crossing for processing and entry to Jerusalem. $11 million renovations have recently been completed at the Qalandiya Crossing, the main crossing between northern Judea and Samaria and Jerusalem. Renovations were carried out in order to enhance processing of some 7,000 Palestinians every day, entering Jerusalem for work, medical care or other necessities. Upgrades include implementation of technology available at modern airports while giving consideration to security requirements. Processing of an incoming Palestinian now takes between 4-7 minutes. The Mod's Coordinator of Government Activities in the Territories (COGAT) is responsible for implementing the government's civilian policy within Judea and Samaria and for coordination and liaison with the Palestinian Authority. Jerusalem, Israel. 28th March, 2019. $11 million renovations have recently been completed at the Qalandiya Crossing, the main crossing between northern Judea and Samaria and Jerusalem. Renovations were carried out in order to enhance processing of some 7,000 Palestinians every day, entering Jerusalem for work, medical care or other necessities. Upgrades include implementation of technology available at modern airports while giving consideration to security requirements. 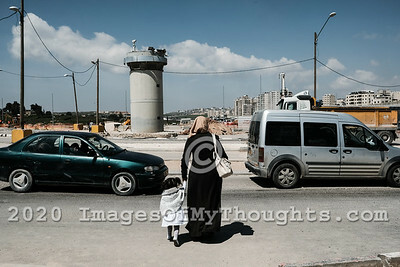 Processing of an incoming Palestinian now takes between 4-7 minutes. The Mod's Coordinator of Government Activities in the Territories (COGAT) is responsible for implementing the government's civilian policy within Judea and Samaria and for coordination and liaison with the Palestinian Authority. 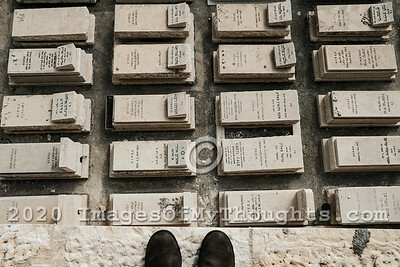 Photographer's feet stand on a ledge overlooking a section of Jewish graves and marble tombstones. 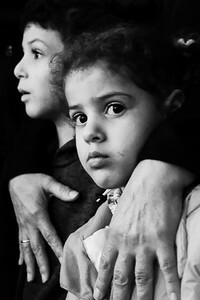 Sderot, Israel. 13th March, 2019. 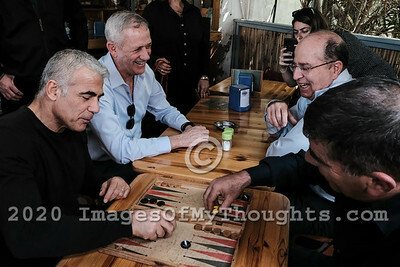 Blue and White Party leaders, former Minister of Finance YAIR LAPID (front L) and former IDF Chief of Staff GABI ASHKENAZI (front R) challenge each other to a game of backgammon as former IDF Chiefs of Staff BENNY GANTZ and MOSHE YAALON watch during a rest break in the town of Sderot. Blue and White Party leaders toured Gaza border towns in Israel's south campaigning ahead of the 9th April 2019 national elections. The Blue and White Party is the only true challenge to Netanyahu's Likud led government in upcoming elections. 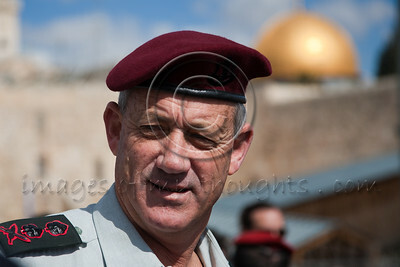 New IDF Chief of Staff, Benny Gantz, Prays for Devine Support at The Kotel. Jerusalem, Israel. 14/02/2011. Rav-Aluf, Major General, Benny Gantz was awarded his new rank today by PM Benyamin Netanyahu and appointed Chief of Staff of the IDF. Immediately following the ceremony, Gantz paid a visit for prayer at the Western Wall accompanied by Major General Gabi Ashkenazi, the outgoing Chief of Staff. Both officers prayed and wrote personal handwritten notes, carefully placing them between the ancient stones of the Wailing Wall. Jerusalem, Israel. 11th March, 2019. 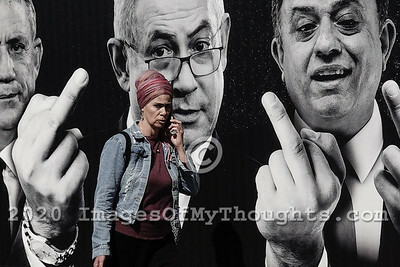 A billboard in Jerusalem ahead of the 9th April 2019 elections depicts PM Netanyahu and leaders of other parties raising their middle finger at the viewer, or voter. 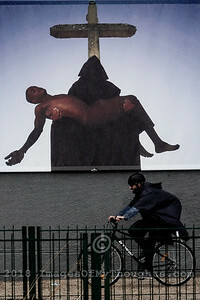 The billboard is part of the Yashar Party elections campaign claiming "The parties in Israel have lost our trust, and rightly so. The politicians no longer represent us and we all know that a moment after the elections they will stop counting us and will just take care of themselves again". Depicted are (left to right) Yair Lapid, Benny Gantz, Benjamin Netanyahu, Avi Gabai and Tamar Zandberg. 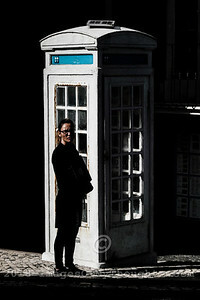 Ramat Gan, Israel. 29th January, 2019. 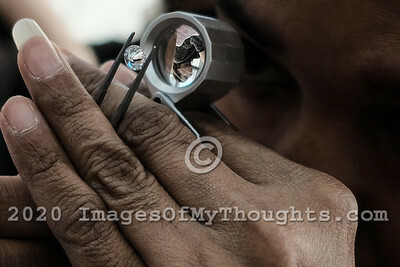 Four hundred buyers from more than 20 countries join Israeli diamond manufacturing and trading firms on International Diamond Week as some 1,500 people are expected to trade more than $1 billion of polished diamonds this week. The Israel Diamond Exchange is considered the most secure in the world, covering an area of 100,000 square meters with 3,500 bourse members. In spite of security measures the theft from the exchange floor of a bag of diamonds worth hundreds of thousands of Israeli Shekels was recorded on security cameras 28th January, 2019, but perpetrator has not yet been identified. 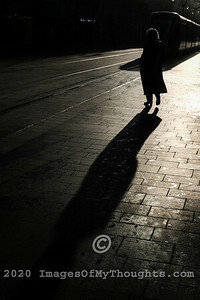 Silhouette of a woman and the tram in early morning light on Jaffa Road in Jerusalem. Jordan Valley, Israel. 19th January, 2019. 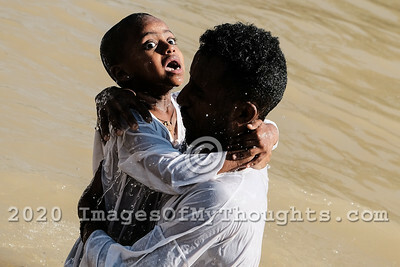 Faithful believers of the Syriac, Coptic and Ethiopian Orthodox Churches celebrate Epiphany at the Jordan River Qasr Al Yahud baptism site near the West Bank city of Jericho, where tradition places the baptism of Jesus by John the Baptist, seen as his manifestation to the world as the Son of God. Jerusalem, Israel. 13th December, 2018. 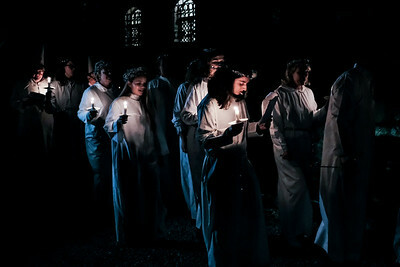 The Swedish Theological Institute (STI) in Jerusalem hosts Santa Lucia Day celebrations commemorating Lucia of Syracuse (283-304), Saint Lucy, Saint Lucia, or Sancta Lucia. 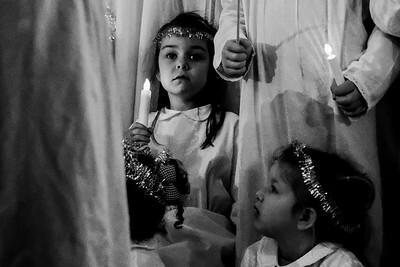 The feast has become a festival of light, particularly celebrated in Scandinavian countries, where young girls traditionally dressed in white with a red sash, carry palms and wear wreaths of candles on their heads. STI, founded in 1951, is situated in central Jerusalem in Bet Tavor, constructed by Conrad Schick in 1882 and houses the Chapel of St. Bridget. 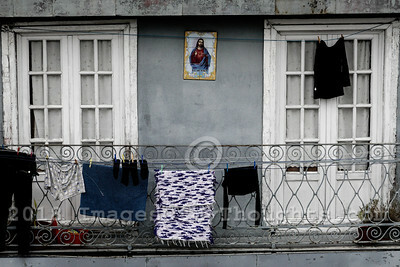 A street scene in Belem, Lisbon, Portugal. 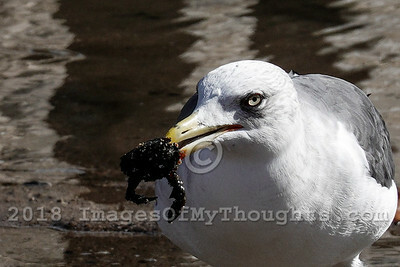 A seagull catches a crab on the bank of the Tagus River. 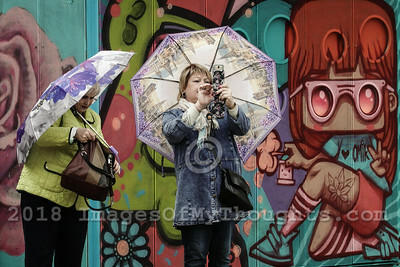 Tourists capture memories on smartphones in Lisbon. 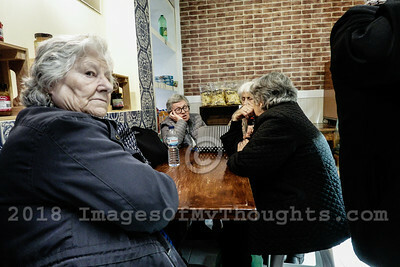 A street scene in Lisbon's Alfama District. 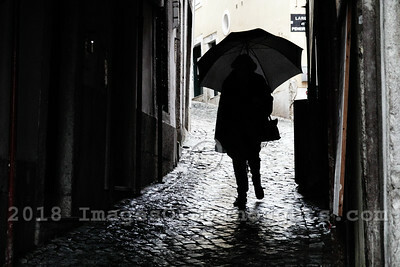 Alfama is the oldest district of Lisbon, on the slope between the Sao Jorge Castle and the Tejo river. 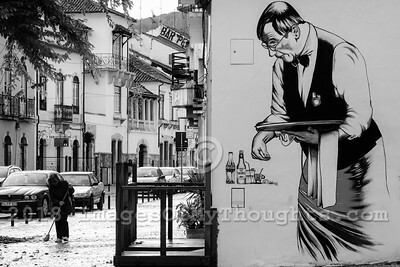 A street scene in the city of Porto. 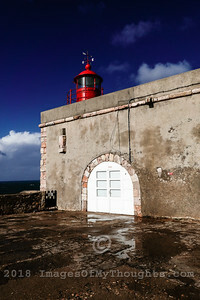 The Nazare lighthouse on the roof of Forte Sao Miguel Arcanjo. 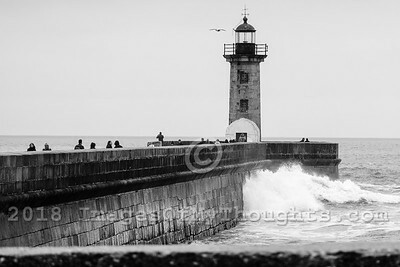 Nazaré is a coastal town and a municipality in Oeste region. It is one of the most popular seaside resorts in the Silver Coast, Costa da Prata, Portugal. 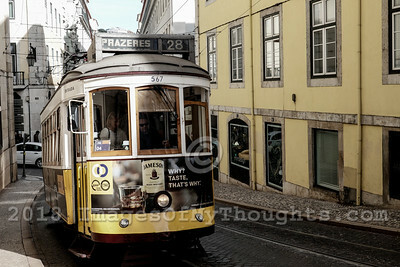 The Lisbon tramway network, in operation since 1873, presently comprises six urban lines. In 1901 the network was electrified. 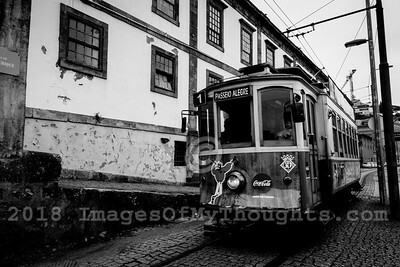 The decline of the network began with the construction of the Lisbon Metro but the six remaining lines are still very important as sections of the city's topography can only be crossed by small trams. 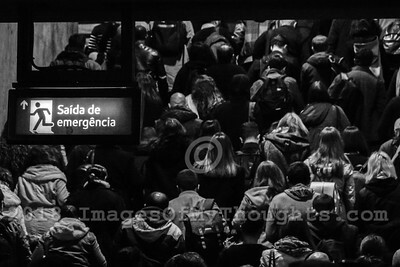 Commuters exit the underground Rossio Station on the Green Line of the Lisbon Metro. The station is located between Figueira Square and Rossio Square. 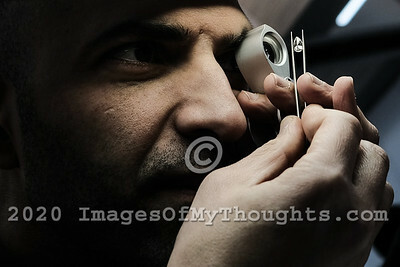 Rahat, Israel. 15th November, 2018. 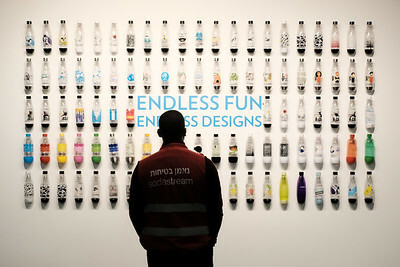 Only 22km from the Gaza border, in the Idan HaNegev Industrial Park, SodaStream (NASDAQ SODA) employs 110 West Bank Palestinians, 750 Muslim Bedouins and East Jerusalem Israeli Arabs, some Arab Christians and Druze and 1,000 Israeli Jews among them Russian and Ethiopian immigrants, making it an island of peace and coexistence. 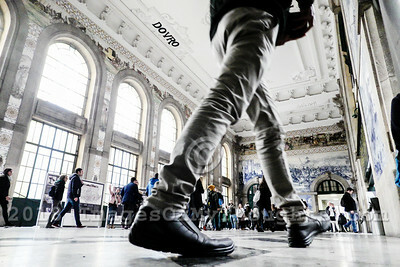 The São Bento Railway Station, Estação Ferroviária de São Bento, in the civil parish of Cedofeita, Santo Ildefonso, Sé, Miragaia, São Nicolau e Vitória, in the municipality of Porto is a 20th century railway station on the site of the Benedictine Convent of São Bento da Avé Maria, built by King Manuel I of Portugal in 1518. A street view of Sintra, Portugal. Sintra is a city and municipality in the Greater Lisbon region of Portugal, located on the Portuguese Riviera, a major tourist destination in Portugal, famed for its picturesqueness and for its numerous historic palaces and castles. A street scene in the town of Alcobaça, in Oeste Subregion.